After spending five months behind bars, Krasimir Marinov, one of the notorious brothers called the Marguins, who are believed to be Bulgaria’s top crime bosses, will be placed under house arrest. This emerged on Tuesday after Sofia Court of Appeals upheld a decision of the Sofia City Court, which cited the defendant’s health problems as the main argument for its decision. The ruling concerns the allegation for leading an organized crime group, involved in drugs distribution. The defense demanded the release of Krassimir Marinov, claiming that the evidence collected so far fails to prove the charges raised against him. According to the lawyers his release under house arrest is a safe measure, since he is not likely to go into hiding or commit another crime. 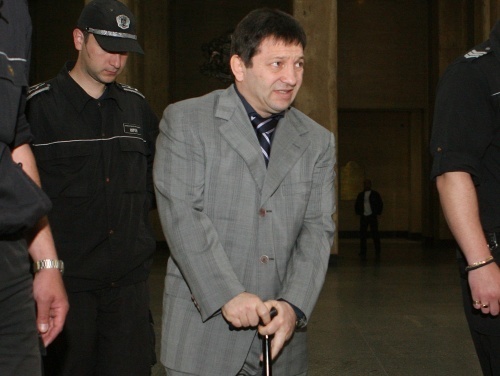 Krasimir and Nikolay Marinov, also known as the Marguin brothers, reputed to be the biggest mafia bosses in Bulgaria, were acquitted last week after found not guilty of plotting three murders. Krasimir Marinov pleaded not guilty to the charges, while his brother Nikolay was tried in absentia after he disappeared earlier this year. The case has been dragging on for nearly five years already.